The new volunteers were made to dance four simple steps to a song along with the old volunteers and the coordinators. This was to done to get the complete attention of the new volunteers and was a great start. Before proceeding with the presentation the volunteers were questioned for their volunteering motives. We wanted to know why they chose BHUMI and why they want to go for educational volunteering. A video depicting the educational statistics of India was then played to update the new volunteers. The presentation informing them about the goals and objectives of Bhumi, followed by a video which briefed about the different projects and how the academic sessions are conducted was played. 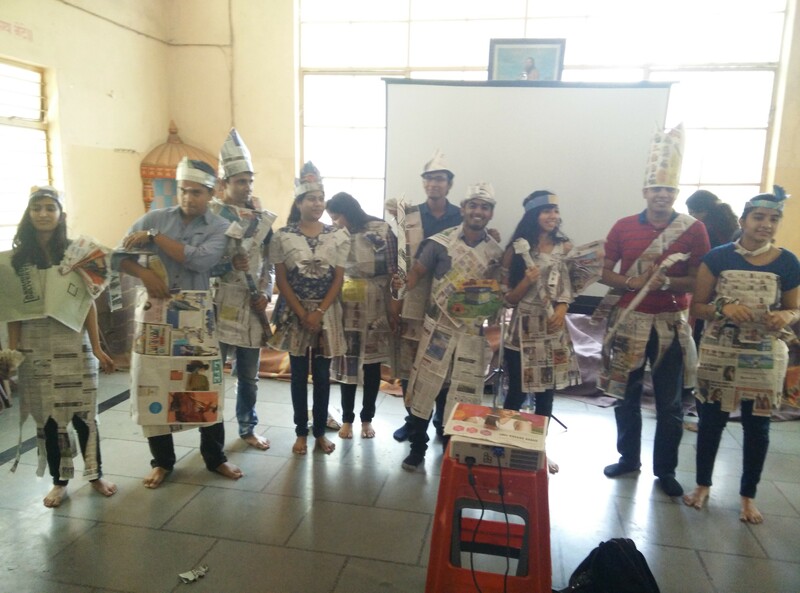 The volunteers were then divided into groups, and asked to design costumes for one guy and one girl in the group within a given time limit using newspapers. They had to display these costumes on the ramp with an innovative pose at the end. 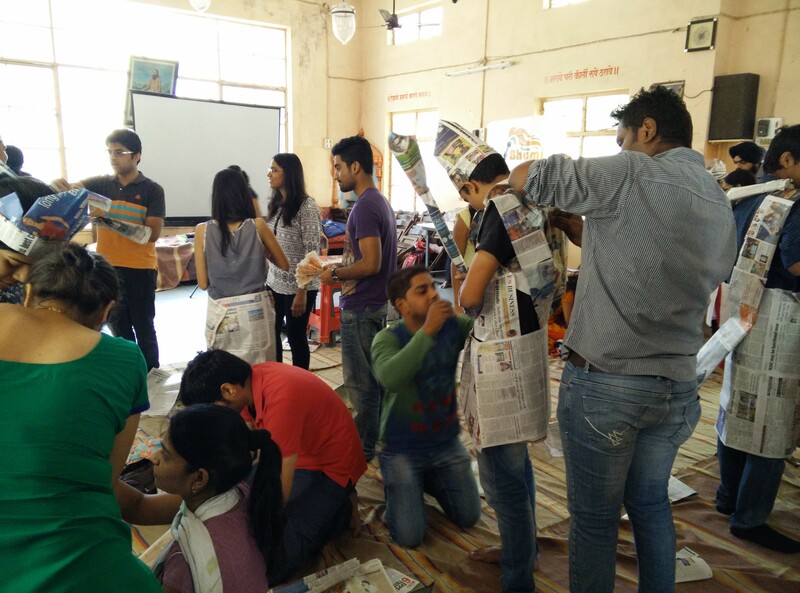 The motive behind this activity was to bring out their creativity and teamwork. We added another surprise twist to this activity by asking them to introduce their team members in the end. 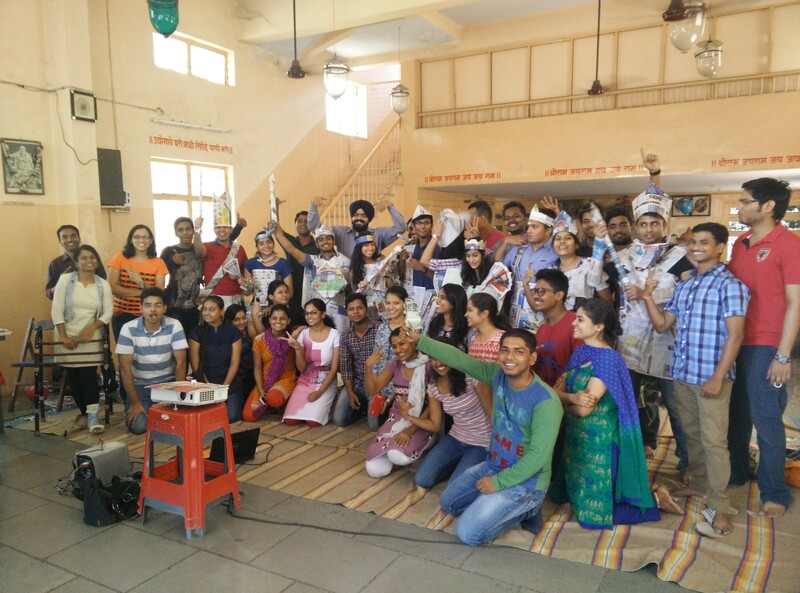 This was followed by a video which introduced the volunteers to Bhumi Pune. This was then followed by a presentation which focused on the volunteer impact and consequences of volunteer drop outs. In the end, volunteers were asked to decide upon the project of their interest, join the group discussion for each project followed by a personal interview.